One of WordPress’s biggest advantages (and reasons for its success) is the fact that the platform is completely open source — anyone can use it for any purpose without paying a dime. This is why some people have a hard time taking WordPress seriously as a line of business. After all, how can you make money with something that anyone can use for free? If that is you or your client, you first need to remember that WordPress not only powers the websites of some of the most famous brands, people, and companies in the world but by now it powers more than 25 percent of the entire Internet. In fact, WordPress-related products and services have become a serious market. How serious? Try multi-million dollar serious. To dispel doubts about WordPress as a business sector and introduce the types of opportunities out there, this article will shine a light on some of the most influential and successful WordPress businesses and ventures to date. We will look at who they are, their business models and, if available, the revenues they commandeer. The goal is to show you what is possible with the platform and inspire you to do the same. Get ready to have your mind blown. 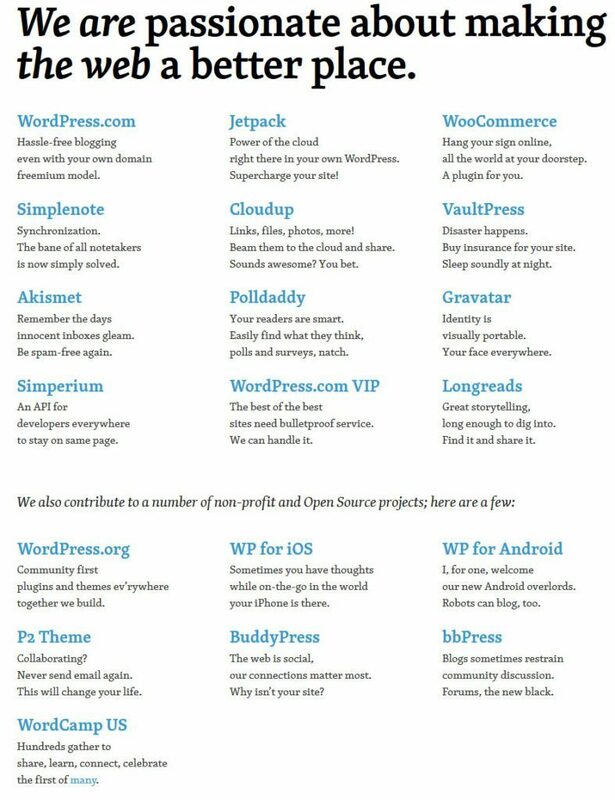 Every single company on the list below generates revenue almost exclusively from WordPress products or services. Some have other irons in the fire, but the platform still represents the core of their business. While the list is in no particular order, some ranking is inevitable as you will see from the company taking the first place. 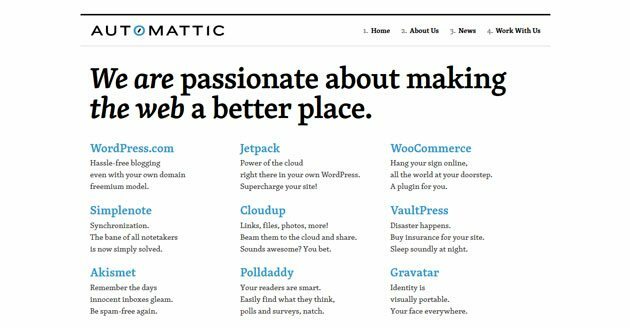 Founded by WordPress co-founder Matt Mullenweg in 2005, Automattic is one of the most recognized names and industry leaders in the WordPress sphere. But that’s not all. Plugins and services like Jetpack, Akismet, Gravatar, WooCommerce as well as other companies they have acquired over time also belong to Automattic’s portfolio. The company also represents one of the most significant contributors to WordPress.org, bbPress, and BuddyPress. While exact revenue numbers are not available, in 2014 Automattic received $160 million in funding, pushing its (provisional) valuation to $1.16 billion. 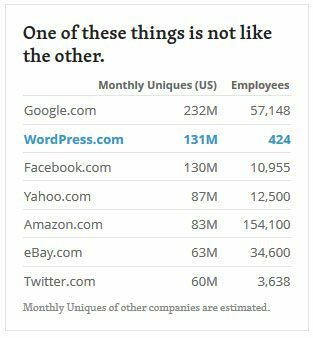 These numbers are especially impressive if you keep in mind that they run a blogging platform that sees 15.8 billion monthly page views with (at the time of this writing) only 422 employees spread across the globe. In terms of size, revenue, expertise, and influence, no company comes even close to Automattic. Australia-based Envato is runs the ThemeForest and CodeCanyon market places as well as the Tuts+ tutorial and course platform. Their properties represent the second most popular places for WordPress themes and plugins. In fact, in 2014 ThemeForest was the 88th most trafficked website in the world (according to Alexa.com). While Envato also deals in things outside of WordPress, the majority of authors on their wall of fame (that have sold more than $1 million in inventory) got there selling WordPress products. No wonder the company reached $50+ million in revenue last year, most of it coming from ThemeForest. 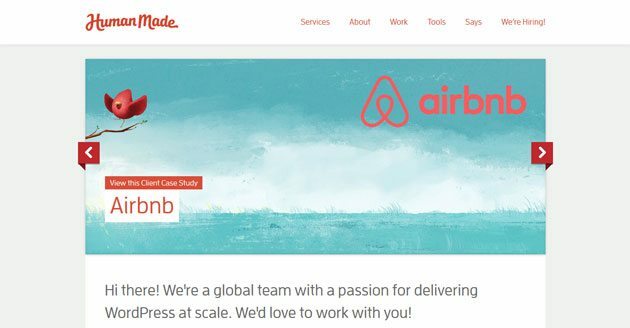 While there have been some controversies in the past with people in the WordPress sphere urging Envato to improve their business practices and product standards, the company continues to go strong. 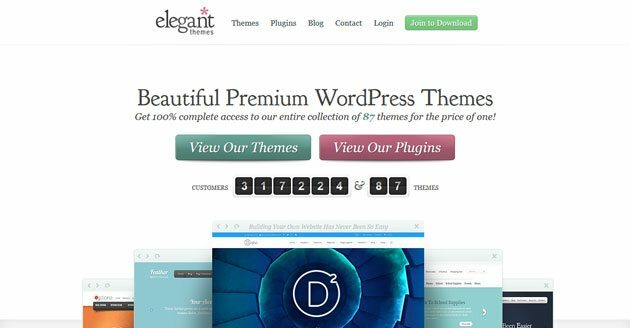 Elegant Themes is a company with eight years experience in the premium theme and plugin business. 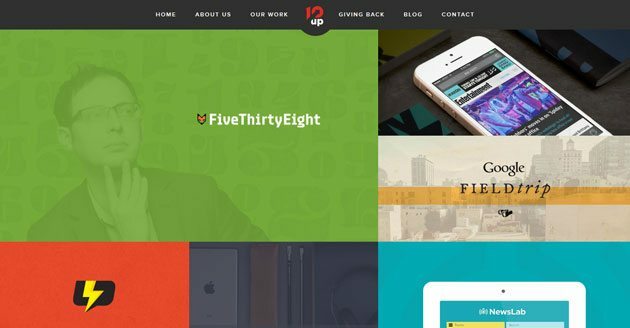 Many of their products, like the Divi theme have become household names in the WordPress universe. Access to their more than 80 themes and plugins has a price tag of $69-$89 for an annual subscription or a $249 one-time fee for lifetime access. At more than 300,000 active customers, I’ll let you do the math for what that means in terms of revenue. Besides their products, Elegant Themes also provides a lot of excellent content on their blog with great writers like Brenda Barron and Tom Ewer being part of the editorial team. 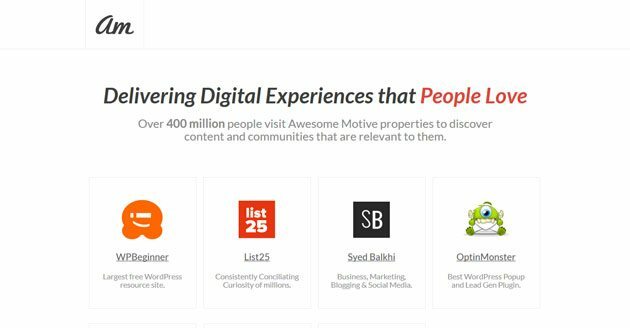 Founded by Syed Balkhi, a well-known figure in the industry, Awesome Motive is the parent company behind WPBeginner, the largest free site for WordPress tutorials on the web. Besides that, their portfolio includes the theme market ThemeLab as well as products like Soliloquy, Envira Gallery and OptinMonster. I couldn’t find any official revenue numbers but it’s clear that the WordPress industry is paying off for Syed and his team. What started as a (WordPress-powered) blog about copywriting and blogging has by now turned into a media empire. CopyBlogger owns StudioPress, which makes the popular Genesis Framework and also offers WordPress hosting through Synthesis. In 2014, the company had almost $10 million in revenue. This number is likely to have gone up since they introduce Rainmaker last year, a platform for building content-based websites, membership programs, and more. Besides that, their blog remains a great resource for all things content marketing and writing for the web. Founded in Austin, Texas in 2010, WP Engine has become one of the most popular managed hosting solutions for WordPress. With more than 300 employees, their emphasis is on security, cutting-edge technology, and scalability. Big-name clients like SoundCloud, AMD, Buffer, and Foursquare trust the company that is poised to become the market leader in managed WordPress hosting. In the beginning of last year, WP Engine raised another $23 million of funding, putting its valuation at $120 million. Besides their hosting business, WP Engine is also behind Torque — the publication you are currently reading. Plus, they have a company blog, which is jam-packed with actionable advice for WordPress developers. What started as the online presence of CEO of Joost de Valk is by now one of the most recognized names in WordPress. I am, of course, talking about Team Yoast. Their fame is in big part due to their flagship plugin Yoast SEO, which is not only one of the most popular SEO solutions for WordPress but also one of the most popular WordPress plugins of all time. 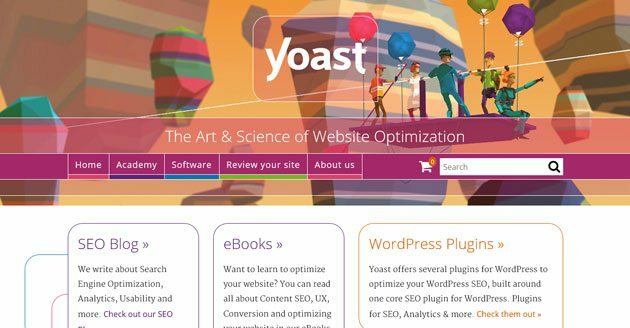 Yoast also offers several other plugins used by millions of people as well as site reviews, ebooks, and consultancy for big-name clients across the world. All that besides running one of the world’s leading blogs on WordPress SEO, of course. While their financials aren’t exactly public, Yoast commandeers revenue of more then $2 million with growth rates of 80 to 100 percent for the past five consecutive years. 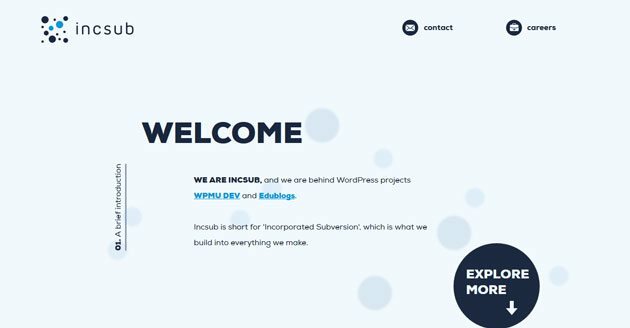 While IncSub might not ring any bells, chances are good you have heard of their projects. Hint: They are called WPMU DEV and Edublogs. The former is more popular in the WordPress sphere as a leading provider of free and paid plugins with more than 350,000 active members and upwards of 3.2 million monthly page views. On the other hand, Edublogs is one of the largest examples of what WordPress Multisite can do, powering more than four million educational blogs. With WPMU DEV membership access to their 350+ themes and plugins costing $19-$49.50/month and a minimum of $39.95 per year for an Edublogs Pro license, I’ll let you and your calculator figure out what kind of revenue we are talking about. On top of that, the WPMU DEV blog is one of the most recognized sources for WordPress knowledge on the web. The brainchild of Pippin Williamson, Pippin’s Plugins is one of the most successful WordPress businesses in the world. Their portfolio includes plugins like Easy Digital Downloads, AffiliateWP, Restrict Content Pro, and more. Not bad, right? Let me rephrase that: Freaking amazing, right?! Plus, they do all that while adhering to a strong open source and open business ethic as well as sharing knowledge on plugin development through speaking and tutorials. 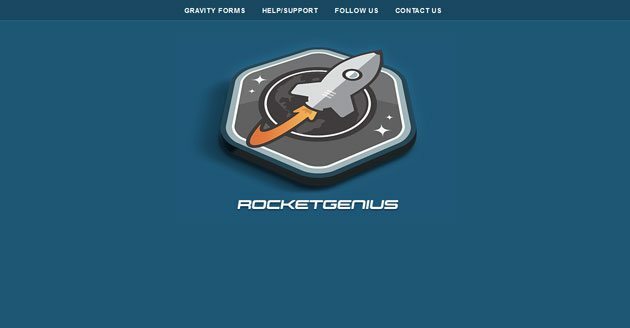 Rocketgenius is another case in which you might know the product but not the name behind it. In this case, we are talking about Gravity Forms, one of the most popular — if not the most popular — contact form for WordPress. The mind-blowing thing here is that with just one product, Rocketgenius manages to generate upward of $5 million per year. You read that right. I also had to check the number twice before committing it to the post. With a price tag of $39-$199 for a yearly subscription, this makes it the most successful premium WordPress product by far and one of the biggest success stories in WordPress history. iThemes doesn’t officially share numbers but founder Cory Miller has stated that the company surpassed $1 million in yearly sales in 2010. That number is definitely higher by now. 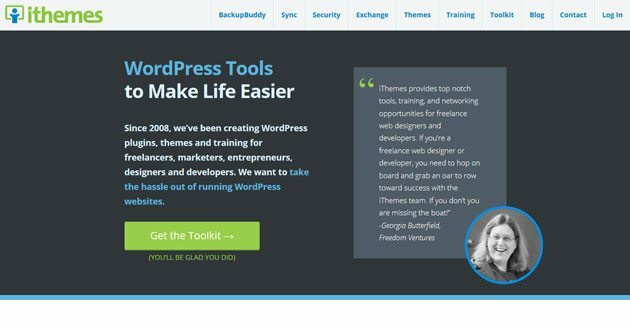 Two of iThemes’ developers, Glenn Ansley and Lew Ayotte, also shared their work habits and tools as part of our skills of world-class WordPress developers roundup. Apart from that, iThemes runs an awesome blog and the aforementioned Cory Miller blogs on business and personal development on his personal web presence. In short, iThemes is one of the leading WordPress companies with a wide range of great products. A relatively new company in general, the success of WP Ninjas’ flagship product Ninja Forms is even more recent. Released about four years ago, the company didn’t make any money for the first two until they completely rebuild their business model. Good thing they did. Last year their plugin was downloaded over one million times and was active on more than 150,000 websites. In 2014, with half the number of downloads their sales amounted to $371,000. Yet, for 2015 Scott Bolinger puts WP Ninjas’ revenue at above 75k/month, which is more than “just” twice that amount. This impressive feat makes the company one of the fastest-growing successful WordPress businesses out there. Its founders are also very open about how they do business (as you can see on their blog), sponsor WordCamps, and help third-party developers make money with extensions for Ninja Forms. WP Ninjas also have big plans for 2016 so this company is one to watch. WP Media is a WordPress startup from France. 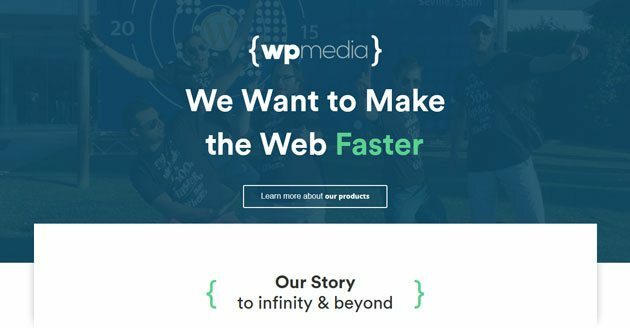 While their portfolio includes products like Imagify and WP Quick Install, the company is best known for the WP Rocket premium caching plugin, which tries to make site caching as simple as possible. Apparently they have done a good job. Not only do users love it, WPSiteCare declared it the hands-down best caching plugin for WordPress on the market. What’s even more impressive is that they managed to break into a market that was already covered by high-quality and free alternatives like W3 Total Cache and WP Super Cache. At the beginning of 2015, one and a half year after its inception, the plugin was already generating a healthy 35,000 per month a number that is now closer to 45,000. What’s also cool about WP Media is that they are a very transparent startup that takes a lot of inspiration from companies like Buffer. For example, they post their salaries online and constantly communicate the inner goings-on of the company. Overall, I am excited to see what else they will be cooking up in the future. Founded in 2012, Theme Fusion is another business whose success is based on only one product — with impressive success. 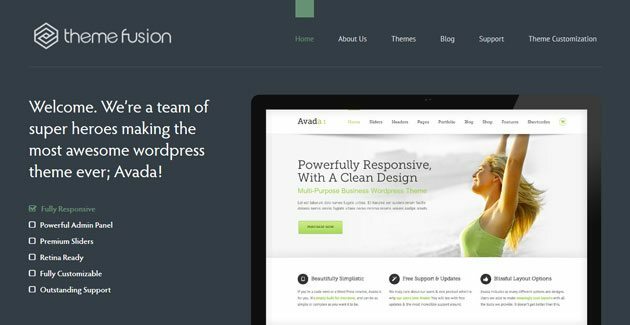 The company made Avada, the top-selling theme on ThemeForest. With more than 180k members, their product has generated a lifetime revenue of above $5.4 million (the actual number is higher but part of it is kept by ThemeForest as commissions). Apart from that, Theme Fusion also offers theme customization and consulting as well as a blog that includes some familiar faces. 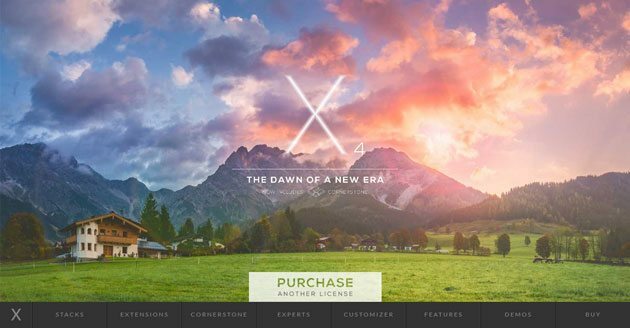 Themeco are the guys who made the X theme, which is the second top seller on ThemeForest. In fact, the theme hit $1 million in sales in just six months after starting out and made about $2.5 million during the past year (after ThemeForest commissions). In addition to that, Themeco also offers over 20 extensions for their core product including Cornerstone, their very own page builder. Plus, the past year saw the first organization of the ThemeCo summit for developers and customers which is scheduled for a repeat in 2016. Many WordPress agencies and service providers are also doing extremely well. However, in contrast to product providers they don’t typically publish their revenue online. So, for the following WordPress businesses we don’t have a surefire way of knowing how much they are earning, but make no mistake: Everyone on the list is a big player in the industry. First on the list is one of the leading WordPress design and development agencies. WebDevStudios was founded in 2001. By now, it’s budded into a successful company of developers, designers, and more, many of whom are well-known faces in the WordPress community. The company is actively involved in developing WordPress by contributing to Core and BuddyPress as well as providing training seminars across the globe. Besides that, they have authored several books about WordPress and a number of plugins including Custom Post Type UI and AppPresser. WebDevStudios’ clients include Microsoft, Uber, and WP Engine. 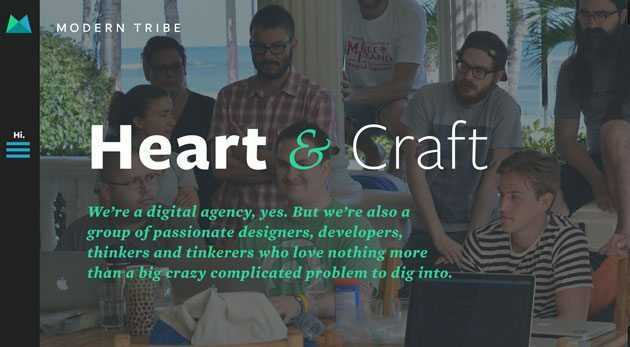 Next up is Modern Tribe, a design and development community specialized in industrial-scale WordPress solutions. Over time, the company has built several hundred websites with millions of cumulative visitors every month that have won Modern Tribe many awards. They also actively contribute to the WordPress community, for example through plugins like The Events Calendar. A web design and consultancy company, 10up specializes in open-source platforms including WordPress, Vagrant, and jQuery. Their team of over a hundred employees offers WordPress development, plugin development, and more. A true WordPress business, the members also contribute a lot of time and energy to WordPress.org. In fact, two of the 18 developers in the world who can directly commit patches to WordPress Core work at 10up. In addition to that, their staff speak at and sponsor events and give back to the community through many free and actively developed plugins in the WordPress directory. Plus, they can boast an impressive list of clients and a valuable blog. Crowd Favorite not only has an awesome name, it is also a development agency for digital solutions. 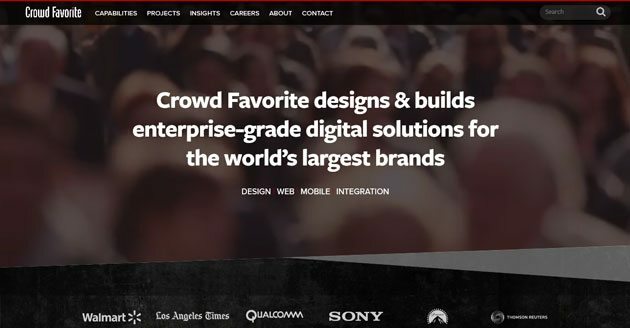 They provide branding, design, UX services, and more for large clients like Starbucks, Sony, MailChimp, and other big brands. Among their more than 40 staff members is Carrie Dils — who we featured as one of our world-class developers. This design and development agency from the United Kingdom provides enterprise-grade WordPress development and consultancy for well-known clients like Paypal, Skype, and Airbnb. 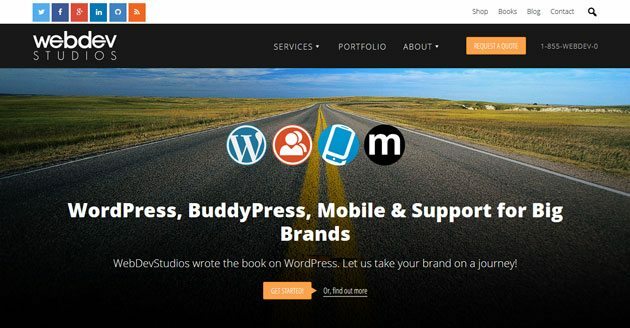 Human Made is also a WordPress.com VIP Featured Partner and authors free and paid plugins like WPRemote, BackupWordPress, and WPThumb. Their distributed team of more than 20 employees regularly organizes and speaks at events and has contributed to almost every WordPress version since 3.0. Are You Ready To Become One Of The Most Successful WordPress Businesses? There’s no denying that despite its open-source origin, WordPress offers serious business potential. The fact that the platform itself is free doesn’t keep some successful WordPress businesses from being immensely profitable to the tunes of millions of dollars. Plus, as you have seen, business models are as numerous as customer needs and there is more than one way to generate revenue with WordPress. With the WordPress platform and the web rapidly developing, the market is far from saturated and new niches emerge constantly. Which is one of your favorite companies in the WordPress sphere? What kind of companies do you see emerging in the future? Let us know in the comments!